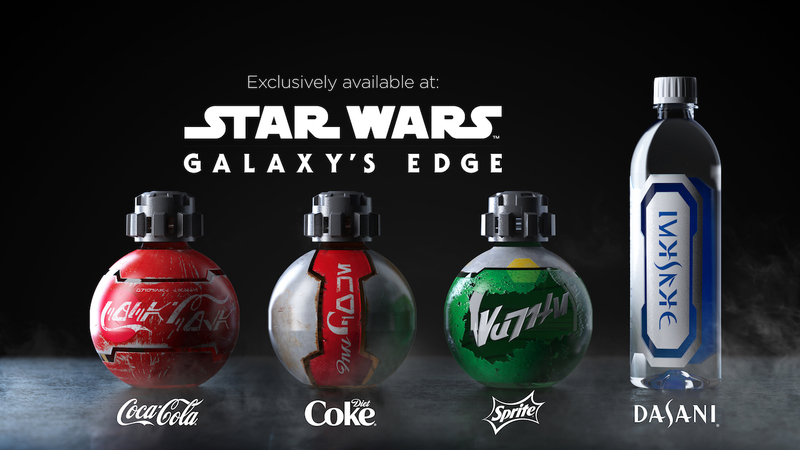 My son is freaking out over the "coolness" of the Galaxy's Edge Specially Designed Coca-Cola Products. I admit I think the bottles are pretty neat, but I can't help but wonder if these nifty bottles will raise the price of a bottled soda even further. I made the same comment to Joe last night! I bet it does. and I wonder if people will buy them up to resell outside the park. Oh you know they will! Those will be collectors items right off the bat for both Star Wars fans and Coca-Cola junkies. My fear is that they raise the prices everywhere to match the special bottles. Or perhaps that's what the shocking raise in price last year was about and they were just being sneaky to make this happen. One of my friends, already predicts that people will put mentos in the bottles with these new bottles and cause havoc.